When people think of Orlando vacations, it is hard to imagine anything beyond the hyper-stimulating experience of America’s favorite theme parks. But Orlando offers many more experiences, and no resort manages to define the range of Central Florida’s offerings more than Grande Lakes, home to both the Ritz Carlton as well as the JW Marriott. Grande Lakes really celebrates and utilizes its natural resources at a higher level than any other Central Florida resort. 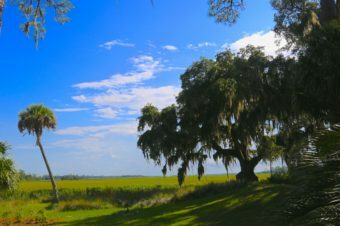 Once on property you are transported into a perfect combination of manicured resort grounds and Everglades landscapes. Greg Norman was chosen to design its famous golf course to integrate the existing land as much as possible. 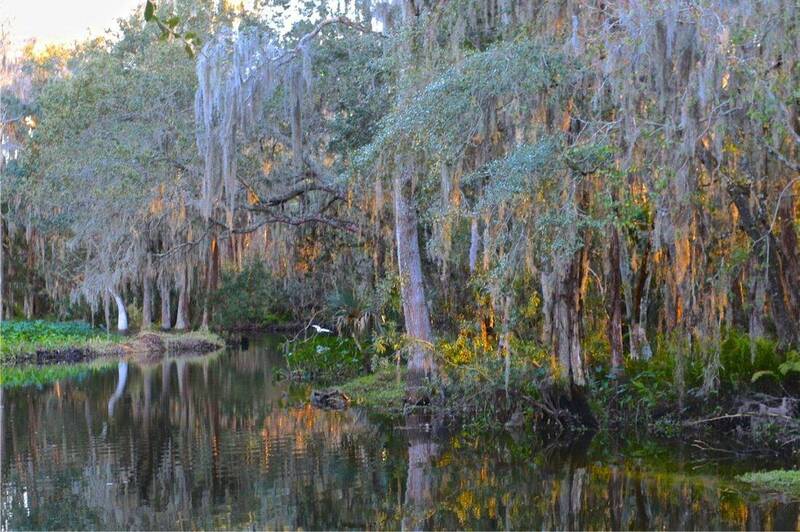 It boasts its own access to Shingle Creek, some of the northern most waterways of the Florida Everglades. The cypress trees that once lined the creeks were used to make shingles. The Whisper Creek Farm continues to provide more produce, eggs, and honey for some of the resort restaurants, and the hotels have close relationships with other area farmers for its produce. To enjoy what this property has to offer, sign up for a Grande Lakes Eco Tour. Eric is the head of the Outfitter department, a naturalist and avid bird watcher, and he’ll take you on an unforgettable tour in the best dressed golf cart around. Editor’s note: Eric is now no longer with the Grande Lakes Resort, but still offers fishing and kayaking tours in the Orlando area, and he works wonderfully with families. His website is Orlando Eco Adventures. If your children love the PBS show Wild Kratts, then Eric is whom they have been waiting to meet. Ask him anything, and he answers it with the calm and centered demeanor of a traditional wise man. His mellow vibe is the antithesis of the Kratts brothers who are more known to mimic the hyperactivity of leaping lemurs. My daughter threw more than 100 questions at Eric, and he answered each one with the patience and engagement you strive for as a parent. Eric’s tour will enrapture any child. Eric’s cart for the eco tour. On our first outing we chose the birdhouse activity where one gets to paint a birdhouse and choose where to hang it along Shingle Creek. On future visits, you can return to see what inhabited your birdhouse. Considering how popular the Grande Lakes is for celebrating holidays year after year, this is a wonderful experience to return to. My daughter attempted to paint camouflage on her birdhouse roof and loved every minute of it, asking Eric what colors birds like best. It was wonderful to be immersed in such natural beauty after days at theme parks. “Your blood pressure just drops when you come out here,” he explained. Painting her birdhouse with camouflage patterns. We returned a few months later and asked Eric to take us to Whisper Creek Farm to see the garden and chickens. He showed us a dangling loofah squash. Who knew that’s where loofahs came from? I didn’t. My son loved seeing a pumpkin still on the vine, and the kids enjoyed the hammock and chicken coop. Since I have done lots of professional event planning, I kept thinking how incredible the parties must be using the space. A mature squash showing the bath loofah texture. Whisper Creek Farm is a popular event spot. Whisper Creek Farm’s produce for the Grande Lakes resort. Pumpkins on the vine at Whisper Creek Farms. Whisper Creek Farms at Grande Lakes. Hammock fun at Whisper Creek Farms. Fresh rosemary at Whisper Creek Farms. We didn’t canoe or kayak this time, as I wasn’t sure my little one had the stamina for it, but it is something to look forward to for us. 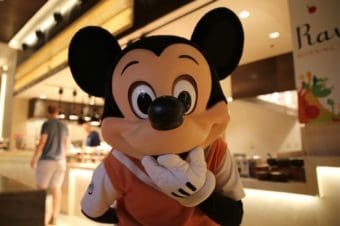 Despite loving the energy and action of Disney World, our hours spent on my eco-tours were easily some of the most enjoyable and memorable ones of our Orlando vacation. We spent many moments in silence enjoying the sounds of the birds or peeking at animals: deer, snakes, snails, alligators, and more birds than I recall, and I feel terrible shame that I cannot type one bird’s name, knowing Eric might read this. We were hosted by the Ritz Carlton Grande Lakes, but the opinions expressed in this article are entirely my own. Shingle Creek for canoes and kayaks.